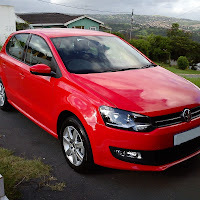 Volkswagen have upgraded their Polo BlueMotion edition to bring it in line with the rest of the Polo fleet by equipping it with TSI technology. 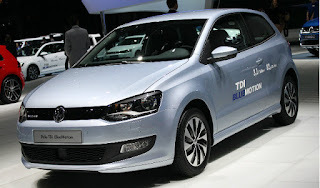 The new BlueMotion is powered by a 1.0 litre 3 cylinder engine. 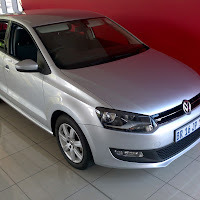 Specification data puts engine power at 70kw and torque at 160nm delivered to the wheels via a 5 speed manual gearbox. BlueMotion aerodynamics are retained and upgraded in certain areas, to improve fuel efficiency. The light weight alloys are now revamped and a little more eye catching. All of this coupled with start stop with Brake-energy Recuperation allows the new BlueMotion to achieve a combined fuel consumption of a mere 4.1l/100km, listing it as one of the leaders in fuel economy on the South African market. Fuel bill aside, the BlueMotion also comes fully loaded with comfort features, one of them being cruise control. The R235800 price tag may seem to be high but the reality of it is that this is a steal at that price. Looking at the table in my previous article on turbo charged cars we can get an estimate on how much you can save on your annual fuel bill.